It had been 38 years since the last time the Milwaukee Bucks won 60 games in a season, and that team – led by newly minted NBA Hall of Famers Sidney Moncrief and Jack Sikma – was overshadowed by the apex of the Larry Bird-Dr. J rivalry going on between the Boston Celtics and Philadelphia 76ers. That 1980-81 team started a run of six Central Division titles that ended without even an NBA Finals appearance as the Celtics or 76ers eliminated them in the conference semifinals or finals. 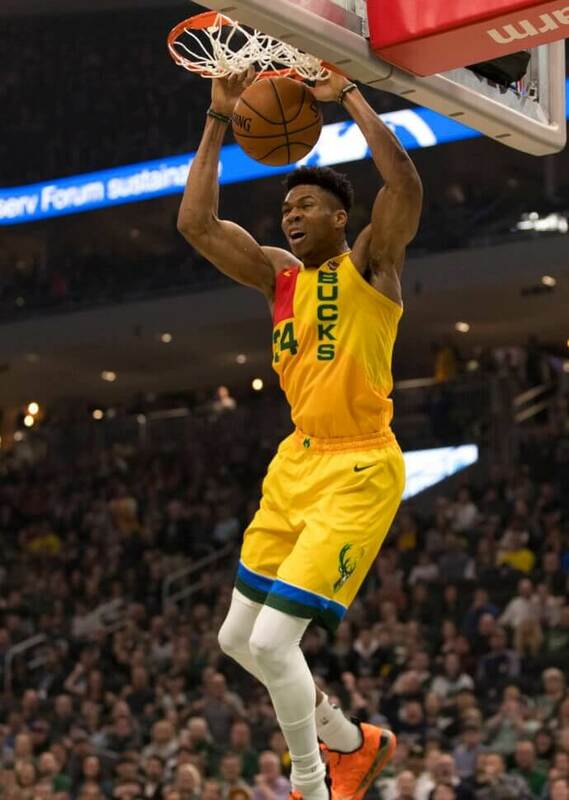 This time around, however, things have a chance to be different for the Bucks – because they have the conference’s best player and most likely, the league’s Most Valuable Player in Giannis Antetokounmpo. But a first NBA Finals appearance in 45 years is far from a guarantee for Milwaukee. After all, the Bucks have yet to win a playoff series with Antetokounmpo, who is making his fourth postseason appearance and third in as many years. 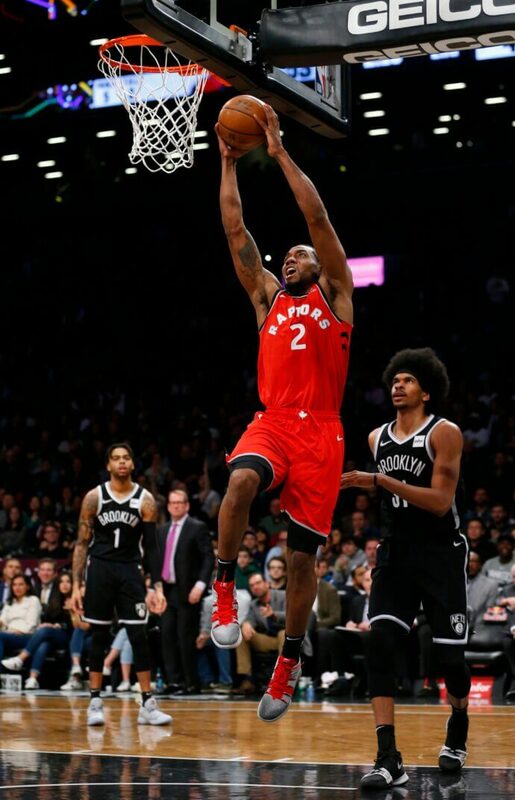 And the opposition is not going to roll over at the sight of the “Greek Freak.” The Toronto Raptors, pursuing their own redemption narrative, have a superstar of their own in Kawhi Leonard and no longer have to worry about LeBron James inflicting more emotional playoff scars on them. Behind those teams, the process could come due in Philadelphia where the 76ers have one of the best starting fives in the NBA. And the Boston Celtics cannot be counted out despite an uneven season in which Kyrie Irving missed 15 games and Al Horford sat out 14. All told, the East is far from cut and dried without an overwhelming favorite. No. 1 Milwaukee (-6,000 to win series, +600 to win NBA title) vs. No. 8 Detroit (+1,700/+25,000) – While the Sixers get more publicity for their starting five, which includes Joel Embiid, Ben Simmons, and Jimmy Butler, the Bucks can match them at all three positions with Antetokounmpo, Eric Bledsoe, and Khris Middleton. There are lofty expectations on Milwaukee this postseason after losing in seven games to the Celtics last year as they still have not won a playoff series since 2001. But the Bucks were a dominant team this season – recording 45 of their 60 wins by double digits. Three of those wins came against the Pistons, whom they swept while averaging 114.5 points while shooting 52.4 percent. Despite finishing with just two more wins than last season, the Pistons can be labeled a success as first-year coach Dwane Casey guided them to just their second playoff appearance in 10 years. Detroit has not won a postseason game since Game 4 of the 2008 Eastern Conference finals versus Boston and could be hard-pressed to avoid a third straight first-round sweep. No. 2 Toronto (-1,200/+1,100) vs. No. 7 Orlando (+650/+25,000) — Even after their fourth consecutive 50-win season and finishing one win shy of their 2017-18 haul of 59, the Raptors may be the biggest mystery in the Eastern Conference. There was little to fix in terms of the regular season, with the Leonard for DeMar DeRozan swap with San Antonio a near wash save Leonard’s slightly better scoring numbers. But the Raptors acquired Leonard for his NBA championship pedigree, having won a title and Finals MVP award with San Antonio in 2014. He is going to be the unquestioned go-to guy down the stretch for Toronto, which was stymied by James in each of the previous three postseasons. The impact of James’ departure to Los Angeles cannot be overstated as it pertains to the Raptors – they lost their final 10 playoff games against James and the Cavaliers. Orlando ended a six-year playoff drought with its first winning record in a non-lockout season since 2010-11 and made a 17-win improvement under first-year coach Steve Clifford. The teams split four games this season and each won once on the other’s court, and the Magic held the Raptors under 100 points in three of the four meetings. Still, this is Toronto’s series to lose, and there are not many scenarios where the Magic will be able to win a best-of-7. No. 3 Philadelphia (-650/+1,700) vs. No. 6 Brooklyn (+380/+24,000) — The 76ers may have been a season ahead of schedule when they made the playoffs in 2017-18 and eliminated the Heat in seven games before falling to Boston in the the conference semifinals. 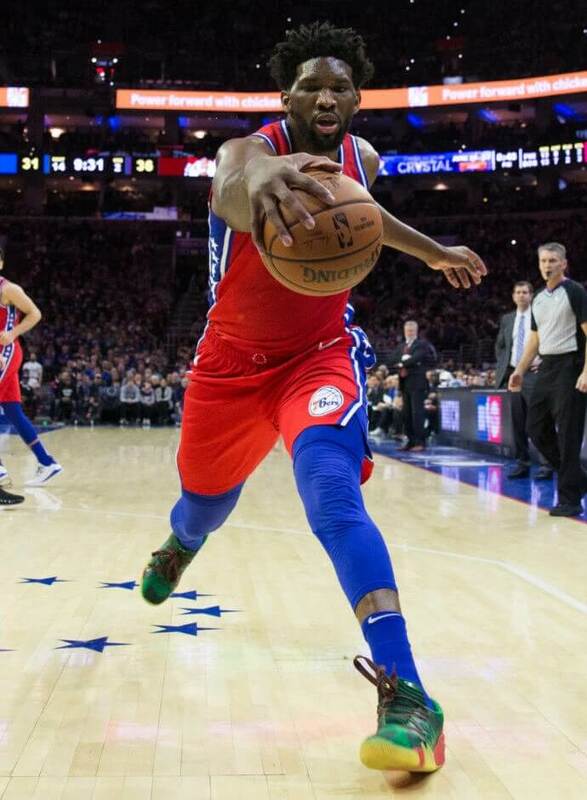 This time around, Embiid and company face expectations in part due to their in-season acquisition of Butler and Tobias Harris, creating a win-now urgency that comes with the conference being up for grabs. Brooklyn has greatly overachieved in making its first playoff appearance in four seasons. The Nets got a full season from D’Angelo Russell, who averaged a career-best 21.1 points, and the whole around him in Spencer Dinwiddie, Jarrett Allen, Caris LeVert, DeMarre Carroll and Jarrett Allen is greater than the sum of each part. The teams split their four games and two of them were decided by three or fewer points. The Nets are a scrappy bunch, and this could wind up being the most entertaining series in the first round in the East. No. 4 Boston (-480/+2,000) vs. No. 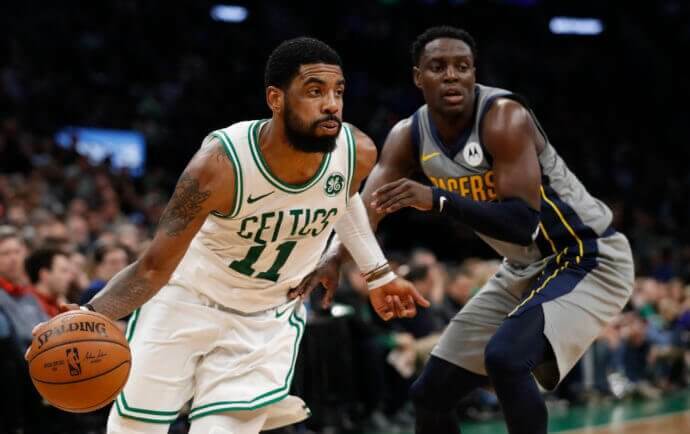 5 Indiana (+310/+21,000) – One got the sense Irving was never truly confortable this season with the Celtics as he often publicly pondered his long-term future, whether it be in Boston or somewhere else. Still, the Celtics are a formidable group – especially with Gordon Hayward rounding into his pre-injury form that prompted Boston to sign him to a four-year, $128 million deal before last season. The Celtics got to the Eastern Conference finals each of the last two seasons, and while they may have been a notch below Milwaukee and Toronto, there is still enough respect there among oddsmakers to believe they have NBA Finals potential. Indiana has made the best of a season that took for a turn for the worst with the season-ending injury to star guard Victor Oladipo, and coach Nate McMillan has done well to coax 48 wins out of a team with no legitimate go-to backcourt scorer. Boston won three of the four games between the teams, including both games since Oladipo missed due to injury, and averaged 116.8 points on 50.8 percent shooting. In a league where matchups matter, having no answer for Irving likely will prove Indiana’s undoing.